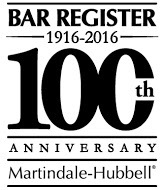 Doughnut and Coffee With Reversal and Remand - McKirdy, Riskin, Olson & DellaPelle, P.C. 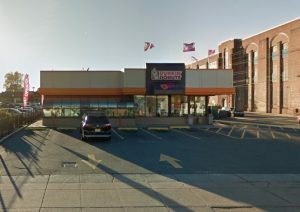 The Appellate Division reversed and remanded a decision of the Tax Court that affirmed the assessment on a Dunkin Donuts property in the City of Elizabeth. The appellate court found that the lower court erred by relying on evidence not in the record. 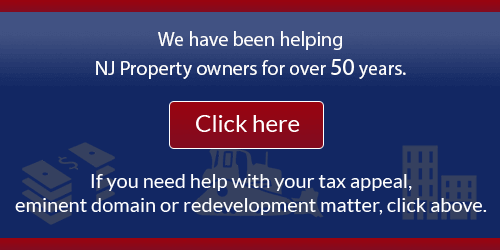 Plaintiff’s appraiser utilized the income capitalization approach to appraise the property. In doing so, the appraiser relied on rents on five other fast food establishments that he deemed similar to plaintiff’s, three of which, like the subject property, are located in Union County. Of the five comparable rents relied upon by the appraiser, he applied a downward adjustment of 7.5% for “quality” on the three Union County properties because those buildings were built more recently than the subject. The quality adjustments were the only adjustments made by the appraiser in concluding a market rent of $30 per square foot (psf) plaintiff’s property. The Tax Court rejected the quality adjustment on one of the comparable rents explaining that “[t]he court has some familiarity with that property from other tax appeal matters and does not find … that property warrants a superior quality adjustment….” In addition, because the subject, unlike the comparable properties, is a standalone establishment, the court applied a 5% upward adjustment to the comparable rents. The only evidence in the record regarding rents of a standalone facility like plaintiff’s and rents for similar establishments attached to a strip mall was testimony by the appraiser on re-direct that there is no difference. The Tax Court based its positive 5% adjustment upon “the court’s knowledge that … generally in the fast food marketplace … a standalone establishment warrants a higher rental value.” As a result of these findings, the court concluded a higher market rent of $32 psf, which pushed the estimated market value into the Chapter 123 corridor and, as such, the Tax Court affirmed the assessment. On appeal the plaintiff argued that the lower court relied on facts outside the record in rejecting its appraiser’s quality adjustment and in concluding that standalone facilities commanded a higher value. The Appellate Division agreed. As to the rejection of the “quality” adjustment, the appellate court found that while the trial judge did reference photographs in the record, it was not clear whether the court would have reached the same conclusion without applying its personal familiarity with the comparable property. The appellate court found also that the trial judge was wrong to apply a 5% upward adjustment to the market rents based on the judge’s personal knowledge rather than any evidence in the record. While recognizing the deference accorded Tax Court decisions due to the “special expertise” of its judges and the authority of the court to make independent assessments, the Appellate Division affirmed the obligation of the Tax Court base its decisions on evidence in the record.